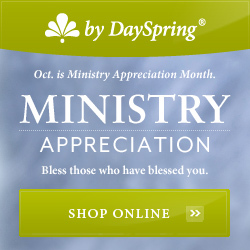 October is Pastor Appreciation Month. I am in charge of planning our Pastor Appreciation celebration at our small church and I’m always looking for great ideas! What is Pastor Appreciation Day? Pastor Appreciation Sunday is celebrated every year on second Sunday of October. Pastor Appreciation Day has been celebrated on this day since 1992 with a mission of uplifting and encouraging pastors, missionaries and religious workers. I have never purchased special bulletins for Pastor Appreciation Day, as I make our bulletins using Microsoft Publisher, and I just add a cute Pastor Appreciation clipart to the front of the bulletin. Our church is fairly small, so I am going to purchase a pack of special bulletins this year. I found some at at Amazon that are very reasonably priced, and since I print out less than 50 bulletins per week, I will have plenty left over for next year! You may find the bulletins at Amazon here: Pastor Appreciation Bulletins or you may purchase them at your local Christian bookstore, such as Mardel, or Lifeway. I found the cutest idea on Pinterest for decorating a bulletin board for Pastor Appreciation Day. We all know that behind every good man is an even better woman! So, let’s not forget the Pastor’s wife. My Pastor’s wife is such a blessing. She is so sweet, patient, and beautiful inside and out. She share’s her husband with our entire church and she deserves some love and appreciation too! Here is the sweetest poem that I found. This would be perfect for a Pastor’s wife! Thank you so very much I appreciate your help in the future. You are very welcome! Thanks for the comment! I hope you find some you can use.